Nestled in the Trans Himalayan ranges there is a fascinatingly rugged land, offering immense adventure, which was once dominated by the kingdom of Zanskar and even now can only be visited on foot. The area is still quite remote and is secluded between Indus valley and Himalayas and hence gives the trekkers an opportunity to take the pleasure of wandering through some of the most isolated regions of the world. However even in this remoteness the traditional hues of Ladakh still reflects from the ancient monasteries, Stupas and Gompas, which are still found in abundance, some in ruins and some still retaining their rich architectural works. The Lamayuru Padum trek starts from the famous monastery of Lamayuru, which is one of the oldest in the region. Other characteristic of this trek include lovely high meadow camp sites on the cold and dry desert land, the thrill of passing through high passes and the joy of espying snowcapped peaks amidst stunning scenery. Not to forget the Buddhist monasteries and picturesque villages replete with irrigated fields of barley and potatoes. 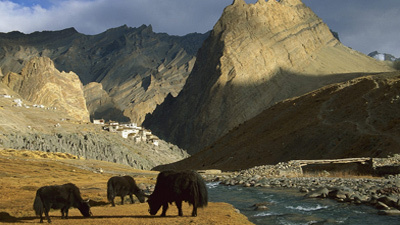 Even chance encounters with the people of Zanskar make this journey a memorable one. Take the Delhi to Leh flight in morning. After reaching Leh, you will meet our representative, who will transfer you to pre-booked hotel/guesthouse. Take rest and get acclimatized. At such elevations, it is extremely important to be accustomed to the climate. Visit the colorful local market of Leh at evening. Have the overnight stay in the hotel/guesthouse. 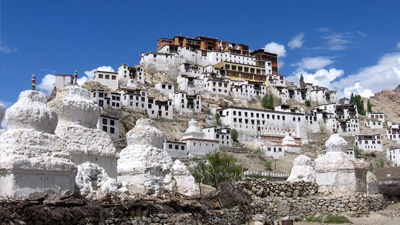 This is the day kept for sightseeing tour to some ancient monasteries of Ladakh. Perched 15 kilometers from Leh, Shey Gompa used to be the summer capital of Ladakh rulers. Around the palace, there are built multitudes of Gompas and Stupas. Deldan Namgyal constructed Shey Palace in early 17th century AD. 12-meter long Shakyamuni Buddha Statue, located inside the Dresthang Gompa, is the prominent attraction of Shey. 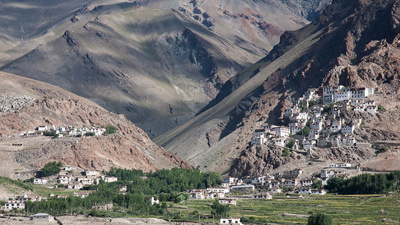 Located close to Shey, Thiksey Gompa is at 17 kilometers of distance from Leh. 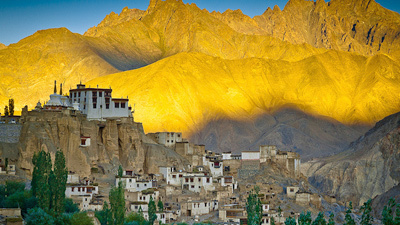 One of the most sublime monasteries in Ladakh, Thiksey Monastery belongs to Gelukspa Order. At about 45 kilometers south of Leh is located Hemis Monastery, which is among the most popular and largest monasteries in Ladakh. This monastery was founded in the beginning of 17th century and it belongs to Drukpa Order. The monastery sheeted in a beautiful valley, flanked by radiant streams and fronted by colossal Mani Walls, makes the ambiance spellbinding. Overnight stay at hotel/guesthouse. In the morning, we will leave for Lamayuru. We will visit confluence of two radiant rivers- Indus and Zanskar, on the way. Other than these streams, we will also come across Basgo Castle and some of the most popular and oldest monasteries of Ladakh, founded somewhat in 11th century. Lamayuru, Alchi and Likir offer extremely memorable tour experience as the travelers witness primeval monastery. At morning, we will pack our small backpacks and set off for the first day of our trekking adventure. The steep trail takes up to the small pass of Prinkti La (3750 meters) and then we will head down to the scenic village of Shilla followed by a 3 kilometers trek to Wanla (3250 meters). We will set the camp at Wanla and spend the afternoon basking under the sun or visiting Gompa in Wanla. At night, gather around for the dinner and overnight stay at the camp. After having the breakfast, start for the trek to Hanupatta. This trail begins with a flat section. Before Panji La, we have to walk on the riverbank. At the confluence of Indus and Zanskar, we will see the Chorten and religious flags. Continue across the gradient and reach Hanupatta. Enjoy the packed lunch on the route. The overnight stay and dinner will be at the trekking tents in Hanupatta. Enjoy the breakfast in camp and then start trekking to Photoskar. It is a long climb into the stone valley. Traverse the river and walk up to SirSir La (4800 meters). After reaching SirSir La, there is a long descent to Photoskar (3750 meters). Enjoy the packed lunch on the route. The overnight stay and dinner will be at the trekking tents in Photoskar. Enjoy the breakfast and then start to trek the foot of Sengge La. Take the packed lunch with you. 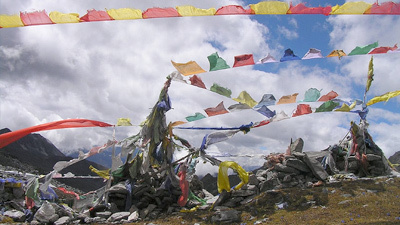 Climb up to Bumiktse La (4200 meters) followed by a steady trail leading to the broad valley. After this trail there is, a short ascent to Sengge La (5000 meters) and then a steady descent till the fool of Sengge La. Make the camp here and enjoy the dinner and overnight stay in the tent. Take the hearty breakfast in the camp and then start the trek to Lingshed. On the way after Kiupa La (3850 meters), is the steady descent to the villages of Skiumpata and Gongma. 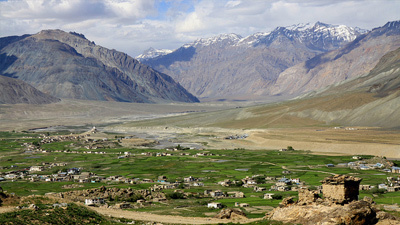 These rural areas offer striking panorama with a view of Nierag Valley on the other bank of Zanskar River. After crossing Murgum La (4100 meters), reach Lingshed and take the camp near the Lingshed Monastery. Enjoy the packed lunch on the route. The overnight stay and dinner will be at the trekking tents in Lingshed. This day is meant for relaxation and exploring the area. Trek to Snertse after enjoying the breakfast. From Lingshed, it is a simple climb to Hanuma La Pass (4700 meters). A long dip down to the sheepfolds of Snertse. Enjoy the packed lunch on the route. The overnight stay and dinner will be at the trekking tents in Snertse. Have the breakfast and start for the trek to Hanumil. From the river Oma Chu, there is a steady climb to Parfi La (3900 meters) and then a sharp decline to the foot of pass. Walk up the plateau onto the path leading towards the fringe of Zanskar to Hanumil. Enjoy the packed lunch on the route. The overnight stay and dinner will be at the trekking tents in Hanumil. Have the breakfast in camp. There is an easy walk to Pishu taking around 5 hours for completion. Set the camp below the village of Pishu. Enjoy the packed lunch on the route. The overnight stay and dinner will be at the trekking tents in Pishu. Cross the Rinam, this is a small watercourse and shelter created by the boulders. 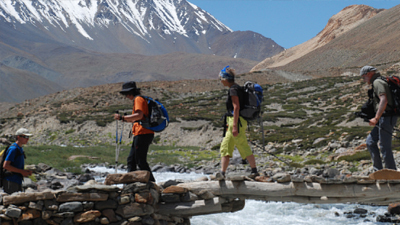 It is a easy trail along the banks of river Zanskar to Karsha. You can witness the gorgeous Gelukpa Monastery that date backs to 15th Century. Enjoy the packed lunch on the route. The overnight stay and dinner will be at the trekking tents in Karsha. Trek to Padum after having the scrumptious breakfast. Take the packed lunch with you. Transverse through the Doda River and walk through the dusty plain to Pipiting followed by Padum. Observe the local monasteries and Gompas in evening. Camp in Padum and enjoy the overnight stay here. Take the breakfast and then drive to Kargil. Have the overnight stay in Kargil. Enjoy the breakfast and then drive to Leh. Have the overnight stay in Leh. Transfer to airport after having breakfast in order to take the flight for Delhi. Reach Delhi to continue for the onward destination.